Stinging Nettle Video — The Most Nutritious Plant On Earth? Stinging Nettle (Urtica dioica) is plant whose edible, medicinal, and utilitarian benefits typically surpass those of other wild species. In this video, we discuss all things stinging nettle — including proper identification, look-alikes, medicinal properties, and more! 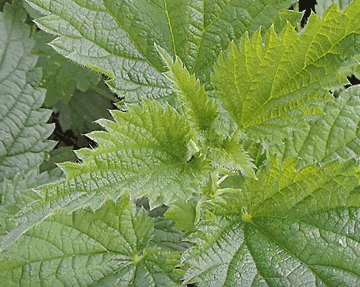 Stinging Nettle offers extraordinary nutrition, both for plants and humans. 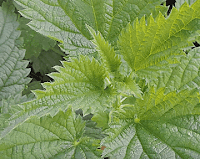 The nettles plant provides edible, medicinal, and utilitarian benefits, surpassing those of other wild plant species. Stinging Nettle grows in the wild throughout the US, especially in areas with regular rainfall. Nettles are partial to rich, moist to wet soil, and may also be found deep in the woods, or even on roadsides. They can be very successful weeds, tolerating a wide range of soil conditions. 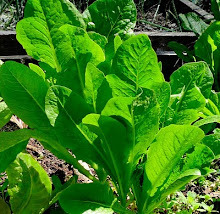 This herb is extraordinarily rich in nitrogen, potassium, magnesium, oligoelements, enzymes, and trace minerals, especially iron. The herb acquired its name because of its sting, which doesn't last more than a few hours, but is highly irritating. You don't want to brush up against a nettle plant, because they will definitely let you know who they are - Stinging Nettle. Gloves are advised when harvesting, and/or digging up a plant to transplant to your garden. Best to plant in an out of the way area that you do not have to closely pass by very often. Stinging nettles seems to stimulate the "immune system" of plants, by providing good balanced nutrition, which makes them more resistant to insect and disease attacks. For those unable to forage seaweeds from the beach, stinging nettle is the answer for making compost and tea for the garden. 1. Use a large container, such as a large plastic garbage can and cover with a lid. Need to use a non-chlorinated water, such as from a rainbarrel. Chlorine inhibits the fermentation of the tea. 2. Cut fresh nettles tops at about half their height. Mix the cuttings with water in the can. 3. Mix one gallon of water with every pound of fresh nettles (or with every 2 ounces of dried nettles). Keep covered with lid. Fermented nettle tea has a very strong odor. Allow the nettles to brew/ferment from one to three weeks, depending on the ambient temperature. The hotter it is, the quicker the process. Note: place can in shade during the summer to prevent the mixture from overheating and killing the necessary fermenting bacteria. When the fermentation has ceased, the tea is ready. Stir the mixture to test this. Cover your nose, or turn head away to avoid the fumes, then quickly peak at the mixture. If there are no more bubbles, then the fermentation is complete. 4. Strain the tea as soon as the fermentation has stopped. Store the infusion in clean plastic or glass containers in a cool spot and label well. It is ready for use as an herbicide, or dilute to use for foliar feeding or as a nutritional soil drench. Nettle tea must be diluted before using as a foliar feeding spray or applied as a nutritional soil drench. Undiluted nettle tea can be used as an organic herbicide. Use the undiluted nettle tea on actively growing weeds, and two weeks later, the weeds will be gone and the ground will be richly fertilized and ready for planting.